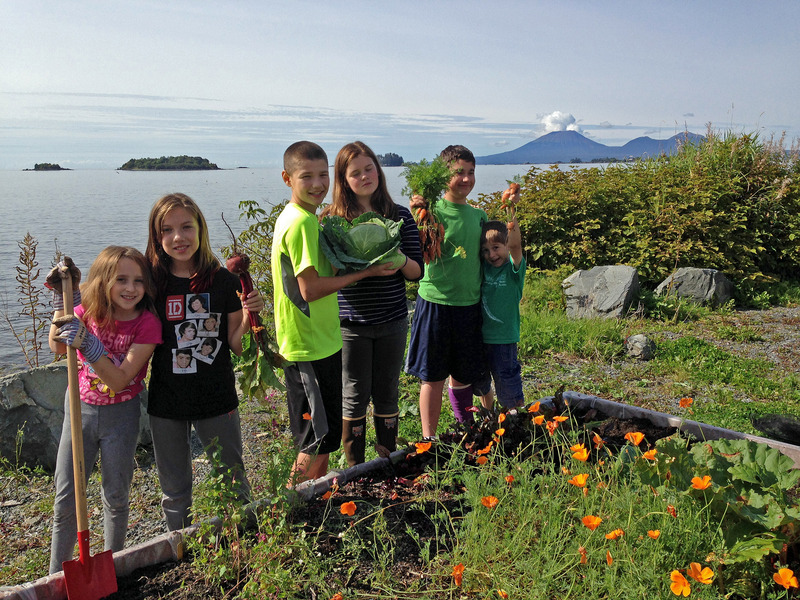 Students at Sitka Adventist School recently harvested a bumper crop of veggies they grew over the summer in their new school garden. Sitka Adventist School is a small private school for grades 1-8 located at 1613 Halibut Point Road (lower level). This entry was posted in education, Gardens, Local food in the news and tagged beets, cabbage, carrots, community garden, food, food security, garden, Kallie McCutcheon, kids' activities, potatoes, school garden, Sitka, Sitka Adventist School, vegetables. Bookmark the permalink.